AVAILABLE IN NYLON, POLYESTER AND COTTON. SHOW YOUR SUPPORT FOR OUR TROOPS. Air Force, Army, Coast Guard, Marine Corps, Navy & POW-MIA flags. NFL, College, MLB, NHL & NBA flags and banners in stock. International flags available for all countries in many sizes. CLASSIC FLAG DESIGNS USED THROUGHOUT AMERICAN HISTORY. All flags 100% made in the USA. Welcome to Flags Unlimited! In business since 1985, we are a manufacturer of all types of flags and banners, offering both wholesale and retail sales. Buy Direct and Save! Please choose from one of the links above to navigate through our site or use our search feature! If there is something you need, but do not see, please call or e-mail us! Finding the rigth size flag is easy! The length of the flag should be 1/4 the height of the pole. Nylon is the best all-around material, use Polyester2 for high-wind areas and budget polyester for short-term use. Flags Unlimited is proud to offer the finest flags available. All of our American flags and most of our products are made in USA. Look for the "Made in USA" icon for products made in USA! As one of the first flag companies to open our online store back in 1996, we have satisfied customers in and out of the country from over 20 years of honest business. Although we began our operation in 1985, our primary objective hasn’t changed—to serve our customers with honesty and integrity, and to only offer high-quality products. If you’re in the market to buy flags, you’ve come to the right place. Our top sellers include U.S., military and POW, sports, and international flags. All of our flags for sale are 100% made in the USA. More than likely, our inventory has just what you’re looking for, and more that you didn’t know you needed. 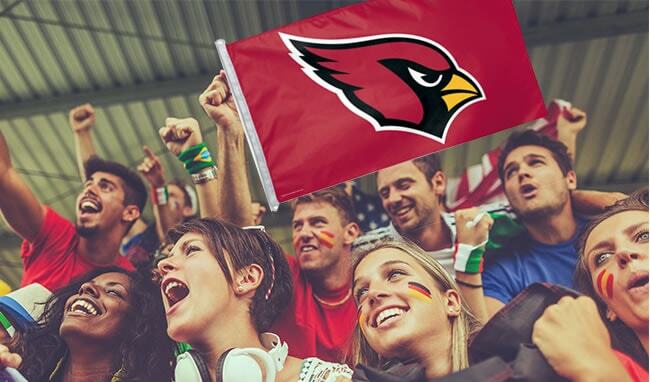 As a flag manufacturer, we produce countless types of flags and banners each year. Our best sellers are our American flags, which are available in different sizes, materials, and brands. Whether your needs are indoor or outdoor, our nylon, polyester 2, and cotton fabrics will stand up to the task! Our options feature standing, hanging, desktop, and even car window flags! In our military and POW flag offerings, we have commemorative military, retired, general’s, and POW/MIA flags to honor our nation’s bravest. 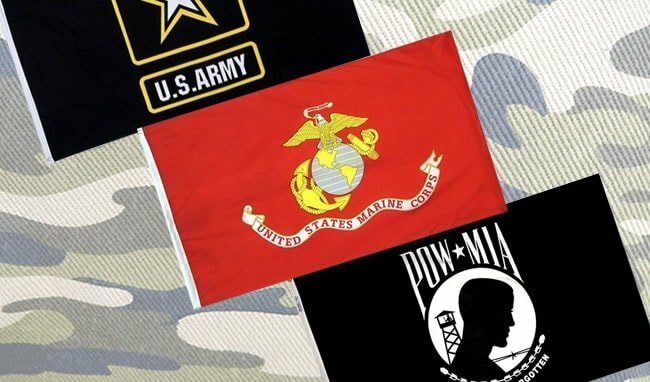 From the Air Force to the Navy, we have the flags you need to show your support. Plus, this collection also includes a number of guidons, lapels, patches, and decals. The sports and team section features a very large number of NCAA, NFL, MLB, NHL, NBA, MLS, NASCAR, golf, and Olympic flags. 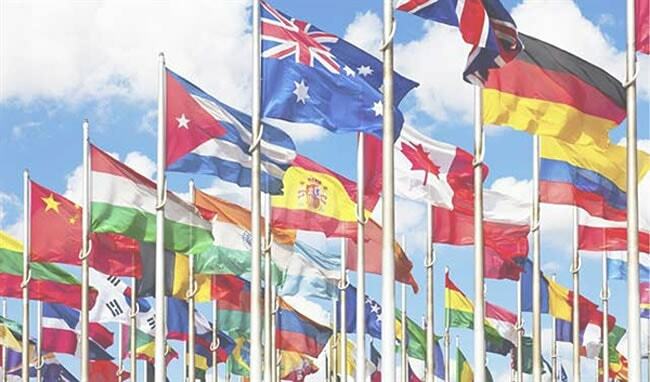 In our international flags, we proudly offer over two hundred countries’ flags. Some, like Ireland and Italy, include two options to choose from. Outside of our top selling flags to buy, we offer custom designed flags, guidons, and table covers and throws. This option is especially useful when needing a rush order fulfilled, which we are outfitted to do! Once we get your design, we can produce many products that you would need for your business. Some of these include tail feather and dancer flags, table throws, golf flags, table covers, stick flags, and car window flags. To guarantee your flags or banners look their very best, we sell a wide range of flagpoles, accessories, parts, and lighting. Our flagpoles are great for commercial and residential areas, and specified by in-ground, indoor, or wall mounted uses. At Flags Unlimited, our end goal is ensuring your experience with us is streamlined and easy, and that you leave with the exact flag you came for. If you have any questions about our site, buying flags, or other inventory, please contact us and we’d be happy to further assist you.